Celebrating an anniversary? Planning a party for someone else? This gorgeous centerpiece bouquet with its colorful flowers will make it even more memorable. 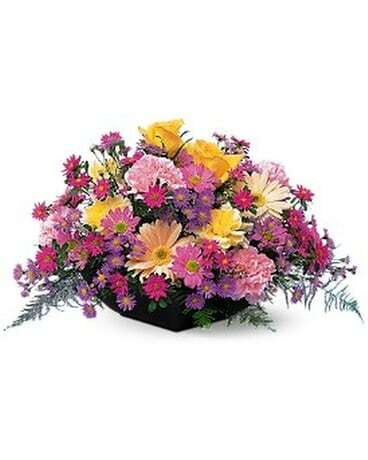 Pastel flowers, including asters, carnations, chrysanthemums and gerberas delivered in a low bowl.